Browse: Home / Now, This is Racism! “Jewish Voice for Labour is a network for Jewish members of the Labour Party.” What qualifies one as a Jew, is it the mother’s blood or is it merely the sustained consumption of chicken soup? The JVL doesn’t provide an answer. We can assume that for JVL, Jews are those who fit biological criteria, otherwise they would provide a chicken soup recipe for those who insist upon joining their ranks as equal members. “Our political priorities are universal human rights and dignity; justice for all; freedom of expression; and democracy in the Labour Party.” This sounds spectacularly good, but begs the question of how they claim to adhere to universality when they don’t even accept Goyim as equal participants in their club. 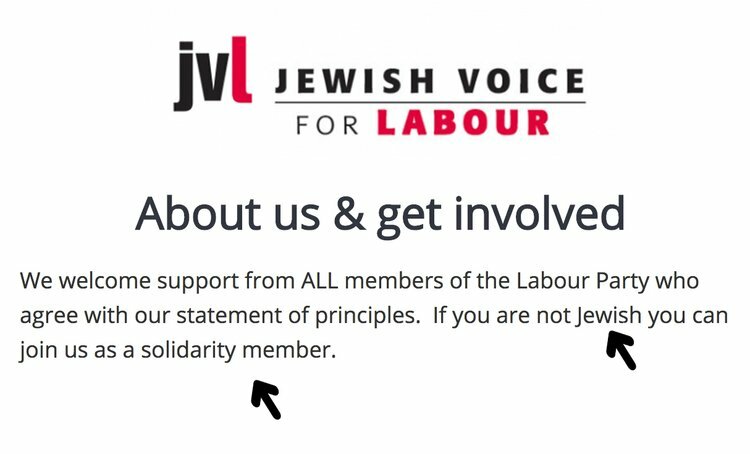 Apparently the ‘solidarity members’ do not enjoy voting rights as the JVL’s constitution specifies that the organisation is led by Jewish people. The inevitable answer is that the JVL’s statement is duplicitous at its core. And the lies continues: “Our mission is to contribute to making the Labour Party an open, democratic and inclusive party, encouraging all ethnic groups and cultures to join and participate freely.” The Labour Party should be an ‘open space,’ but the JVL is clearly not. It is a tribal, racially exclusive setting that operates in total contradiction of every Labour Party value. And again, “we (JVL) aim to strengthen the party in its opposition to all forms of racism including anti-Semitism.” The JVL is against all forms of racism except their own. 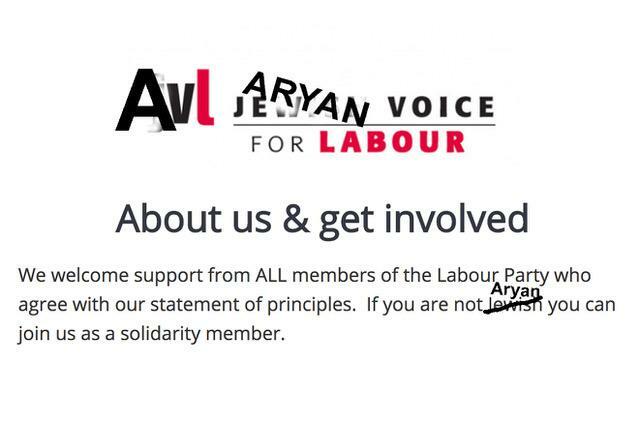 I am pretty sure that the JVL would oppose groups called ‘Aryans for Jeremy’ or ‘White Voices for Labour’ but for some reason they fail to see that they themselves engage in identical racist activities. The JVL opposes Israeli criminality and this is a good thing. “We stand for rights and justice for Jewish people everywhere, and against wrongs and injustice to Palestinians and other oppressed people anywhere.” A welcome statement, but if you are against Zionist injustice, why do you repeat the Zionist procedure by making non-Jewish Labour members into class B members of your ranks? I agree with many of JVL’s ideas. The Jewish group opposes “attempts to widen the definition of antisemitism beyond its meaning of hostility towards or discrimination against Jews as Jews.” Yet, I wonder why these Jews feel the need to do it while celebrating their Jewish privilege in Jews only political cells? If, as they claim, they uphold a universal ethical stand, then surely they should operate as ordinary humans as the universalist Labour standard would dictate.